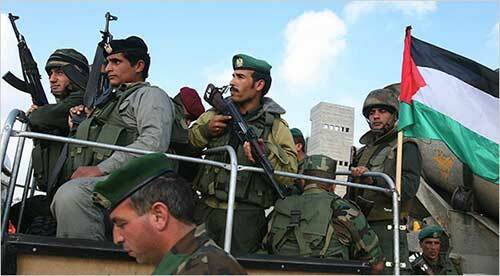 Palestinians reorganize their security services. The United States took this initiative to help Palestinian security services, in coordination with military advisers from Canada and the European Union. I think it is a shame that the USA is helping any enemy of Israel. I am one American that knows that God wants everyone to be a friend of Israel. I wish one day to be able to visit there. I pray that the United States starts to fulfill Gods Word.